Forsaking politics and legal legerdemain for standard shoot-’em-down combat thrills, flyboy-turned-lawyer Huston (Flash Point, 2000, etc.) proves he can do a tightly plotted, by-the-numbers military adventure as well as anyone. You know those Pakistani extremists are bad boys when their leader, Air Force Major Riaz Khan, hoists a squirming underling into the air and strangles him barehanded. 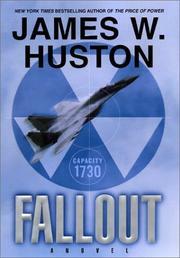 Having bungled an attempt to smuggle into Pakistan a cache of weapon-grade plutonium, Khan and his crew have been dosed with so much radiation that they have barely six months to live—just enough time to get an embassy official in Washington to bribe the undersecretary of defense to get them into the Navy’s TOPGUN school. Alas, TOPGUN is no longer accepting foreign pilots, but Lieutenant Luke “Stick” Henry, a former TOPGUN instructor who quit when he was blamed for an unavoidable aerial collision, is. Henry, along with TOPGUN buddies Thud, Scamp Sluf, and former Russian flyboy Vladimir “Vlad” Petkov, has leased a bunch of retired MiG fighters to start their own, for-profit flight-combat school in the Nevada desert. Henry loathes Khan on sight, but enrolls the Pakistanis because he needs the money. After a few days of training, the Pakistanis hijack four American jets and load them up with bombs. Henry and his pals hop into their MiGs but fail to stop Khan from blasting open a nuclear power plant’s spent fuel pit, spilling deadly radioactive fallout over much of southern California’s coastline. Khan escapes and Henry learns, through Vlad (who has unsavory connections with the Russian Mafia), that this was just a practice run for an attack on an Indian nuclear power plant. Vlad and Henry zoom off to India to save the day. Easily predictable plotting, with fun facts about MiGs, sensational in-the-cockpit realism, and the stirring flyboy spirit that put Huston in the same firmament with Dean Koontz and Dale Brown.